Winners will be featured in an awards ceremony and exhibition in Milan, a printed catalogue and an online showcase. Entries are in four categories: Book publishing, Packaging, Identity and Three-dimensional products. The closing date is 10 June 2009: get the full details and competition sign-up at www.paperideas.it/topapplicationsaward. 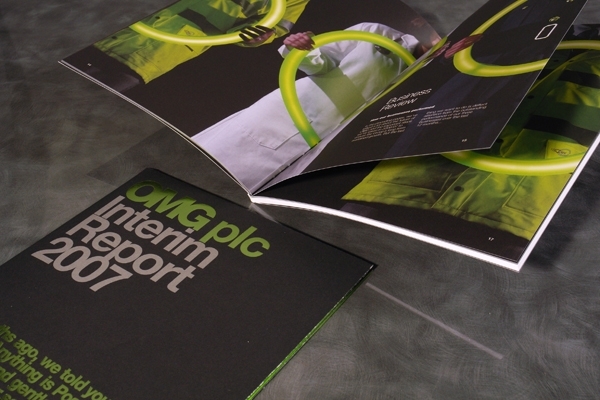 Top: One of last year’s winners from the United Kingdom: Report for Oxford Metrics Group (OMG) designed by Z3 and printed by Taylor Bloxham on Splendorgel.